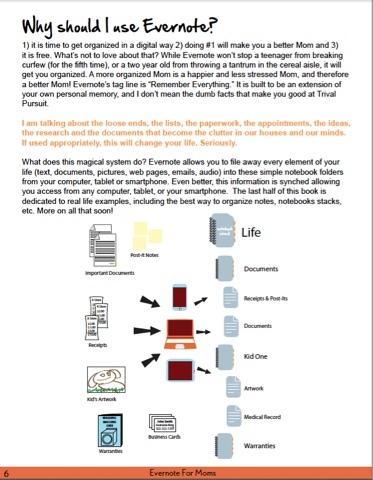 I have been blessed by the usefulness of Evernote, a free note-taking, information-gathering and filing application, as a help in my tasks of managing my household. It took me some time to come to the point of beginning to realize the depths of the capabilities of Evernote in this regard. I recently wrote an article on using Evernote for homeschooling that has become one of my top posts on this blog and one of my most-viewed pins on Pinterest but I wanted to let moms know that Evernote can do so much more. So this is part 2 of my Evernote for Moms series. I must admit that I knew about Evernote and its business applications for some time via my tech-savvy husband. However, I barely used it because I was not sure how it could help me in my most pressing responsibilities as a mom and household manager. Managing a household is a role that I and many other moms, take very seriously but can find challenging and at times overwhelming. It is also difficult to find online resources that specifically address the needs of moms interested in making the most of the latest technology to help us in our busy, everyday home lives. 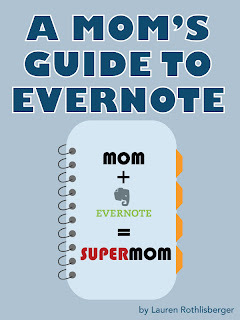 Then one day, following a link somewhere about Evernote in a quest to organize my life, I came across the e-book Evernote For Moms which was a life-changer for me. Because of the book's step-by-step instructions and practical applications, I was able to quickly implement many of the suggestions given. Oh, and did I mention that because I was able to instantly download this wonderful e-book late at night after the kids were asleep and that I only paid $5 for it? Yep, incredible but true. Anyway, there were many ideas I found immediately useful after I read, no devoured, the book. 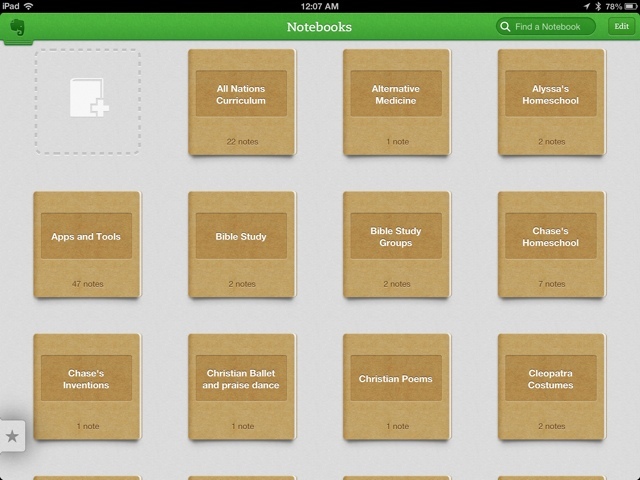 Now I use Evernote for everything from keeping track of tax documents to researching and recording my natural body care recipes, keeping track of my children's homeschooling and jotting down Scriptures or other thoughts for my Encourager Mom Facebook page. 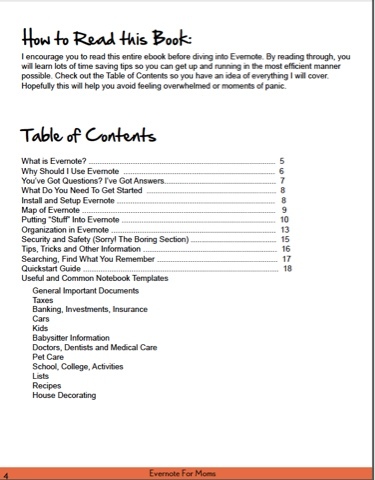 I hope that you find the Evernote For Moms book as useful as I did. Legal/Required Disclaimer: If you buy this great book for $5 through one of the links in this post, I will make a small amount of money.